She looks like the little girl next door until she opens her mouth to sing, for although Federica Falzon is only 10, she has the singing voice of a 30-year-old soprano. Her mesmerising voice wowed the audience of Rai Uno’s song contest programme Ti Lascio una Canzone on Saturday, for the second week running. She sang Il mare calmo della sera in a duet with 14-year-old Italian tenor Vincenzo Carnì. The duet received a standing ovation with the judges – Pupo, Fabrizio Fabrizi, Cecilia Gasdia and Massimiliano Pani – showering them with praise. Last week they won the first edition with Un amore così grande. Thanks to her magical soprano voice, Federica has automatically placed in the grand final in April with the two songs. 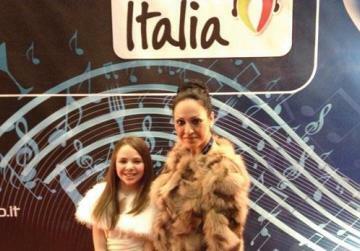 She flew back from Italy last night and her voice coach, Gillian Attard, told Times of Malta she was “over the moon”. “We made history. It is a feat to win such two big programmes,” Ms Attard said. The young singer will be returning to Italy on Thursday to take part in Saturday’s show, when she will be singing Andrea Boccelli’s Con te partirò. “We have four days to work on the song intensively,” Ms Attard said. She explained that the girl had a diaphragm of a 30-year-old. Initially, her parents took her to Ms Attard to train her to sing country music. Federica exercises every day and is regularly monitored by audiological physician Alec Lapira so that her vocal chords are not strained at all, and with training her voice will mature beautifully. 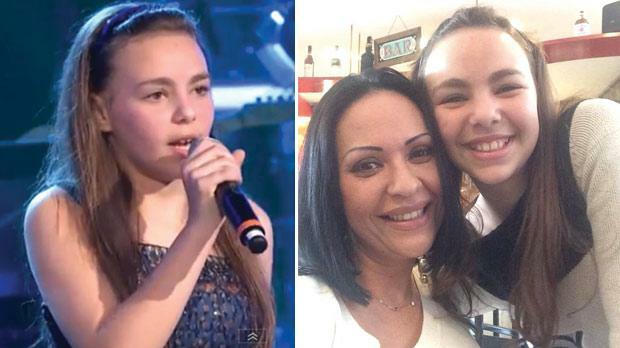 Ms Attard is also the voice trainer of Gaia Cauchi – winner of the Junior Eurovision – Veronica Rotin and Shauna Vassallo, who had successfully taken part in Rai’s programme Io canto last year. “I am living one dream after another with my students,” she said, arguing that the secret of her success was her passion. “I start early in the morning and get home at 10pm every day. I barely see my own two-year-old son. I love them just as if they were my kids. Her job, she believes, is to look for opportunities, make contacts and book auditions for her pupils, even abroad. When asked if Malta was going through a sudden boom in child singer prodigies, Ms Attard said “impeccable voices” had always been there but were mostly hidden. Whenever her students performed abroad, foreigners were always full of praise of their talents, she noted. “Maybe we might not be so good at football, I don’t know, because I’m not an expert, but in musical talent we are definitely huge here,” Ms Attard said.